Can assist the natural absorption of Iron. 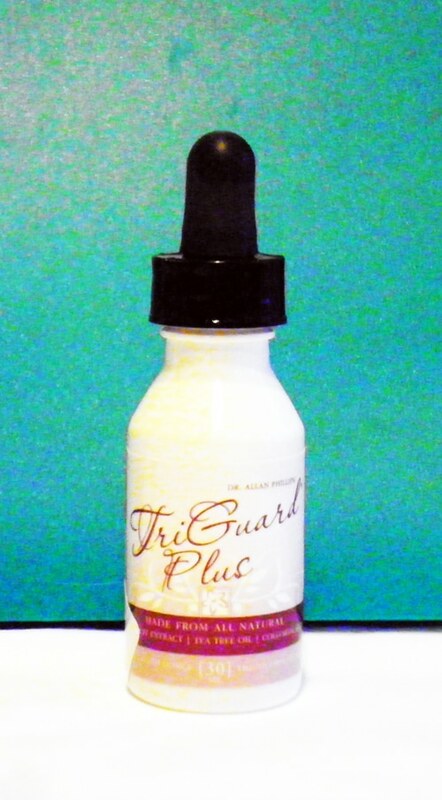 Containing Phyto Iron (Organic plant sourced Iron) without the side effects of inorganic iron. 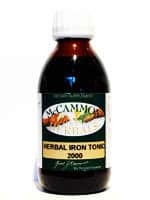 It has demonstrated remarkable effects in a short period of time in restoring energy, and radiant complexion where there is clinical or sub-clinical Iron deficiency anemia. Available in: 200 ml, 500ml. INDICATIONS: In all cases of iron deficiency. Fatigue, pallor, low resistance, pregnancy, after birth, irritability, difficult breathing etc. Especially helpful for the children and elderly. Caution when there is severe systemic candida (thrush), and avoid in cases of diabetes and hypertension (high blood pressure). Best to use with meals, not on an empty stomach. Begin with 3 – 4 tablespoons with breakfast. ( some prefer to take it later in the day) More if needed. Continue this way for 1 – 3 weeks, and gradually cut back to 1 tablespoon per day. Patient usually knows how much they need after getting used to the formula. Seldom any more than three bottles are needed. BLADDERWRACK: (FUCUS VESICULOSIS) Kelp contains all the minerals considered vital to maintaining health including good amounts of the nutrients necessary to assimilate Iron in the human physiology such as Organic Iron Iodine, Calcium, and the B complex vitamins. 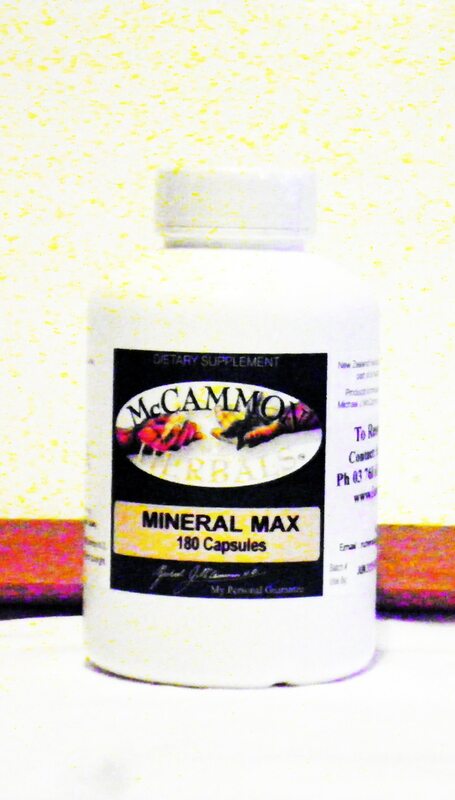 Its nearly 30 minerals and vitamins include Sulphur, Silicon, Phosphorus, Sodium, Potassium, Magnesium, Copper, Zinc, Manganese, Vitamins A, C, E, and K and small amounts of lecithin. Amongst its many medicinal properties are its benefits to the thyroid gland, its ability to absorb toxins from the bowel, sooth the digestive tract, and regulate colonic bacteria. GLYCERINE: Natural vegetable sugar with tonic properties. KUMERAHOU: (POMADERRIS KUERAHO) An indigenous plant of New Zealand. Traditionally used by the Maoris as a blood purifier and in cases of wounds, skin diseases, lung problems such as asthma and bronchitis, and constipation. Its bitter herb qualities help to promote the secretion of hydrochloric acid and other enzymes necessary to help absorb Kumerahou’s high iron content. LICORICE ROOT: (GLYCYRRHIZA GLABRA) Licorice is one of the most studied of all plants. Containing biologically significant amounts of Iron, Chromium, Cobalt, Magnesium, Zinc, Niacin, Silicon and Sodium, B complex vitamins, Biotin, Pantothenic acid, Calcium, Phosphorus, Potassium, Protein, Thiamine and Vitamins A, C, and E. Over 50 times sweeter than sugar, it helps to reduce the sugar craving that often goes along with the symptoms of low iron, while providing, with its mineral salts and pantothenic acid, a natural support for the adrenal glands. Licorice root is a natural anti-inflammatory with emollient and soothing properties and acts along with its iron content to help sweeten, distribute and potentise the formula. YELLOW DOCK: (RUMEX CRISPUS) Renowed as one of the best Blood builders in the herb kingdom the herb is a nutritive tonic very high in Iron. It nourishes the spleen and liver and is therefore effective in treating Iron deficiency anemia, jaundice, lymphatic problems and skin eruptions. MALT: A natural sweetening agent with some nutritional properties. 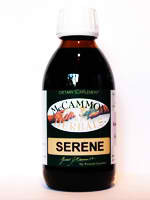 MOLASSES : Mollases has long been used as a traditional remedy for Iron deficiency and fatigue. MANUKA HONEY: Honey is a natural sweetening agent that has many healing properties. New Zealand Manuka honey has been shown to be high in anti-bacterial and anti-inflammatory properties. The honey in the Herbal Iron formula along with the licorice, malt, molasses and glycerine helps to make the taste more pleasing.